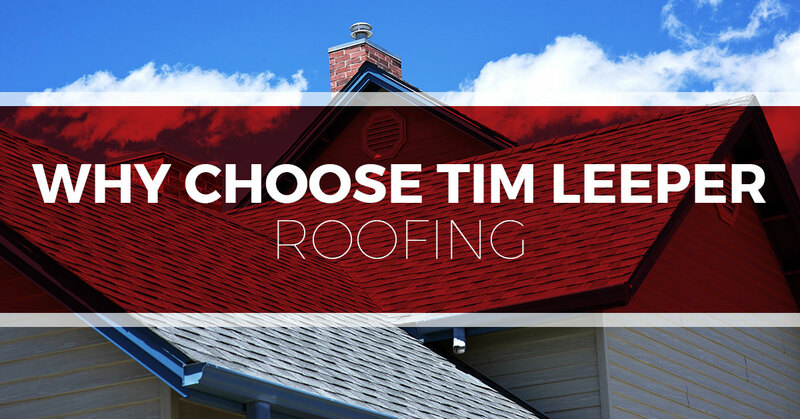 Why Choose Tim Leeper Roofing? When you are looking for a roofer to do either repair work or a complete residential roof replacement, there are many reasons you should choose Tim Leeper Roofing. We’d like to take this week’s blog to go over a few of these reasons, and we hope to hear from you if you are in need of any roofing services. We serve the Nashville area from our Old Hickory base and look forward to working with you. Dedication to great customer service and the highest-quality workmanship are two of the main reasons Tim Leeper stopped working for other roofers and started his own company. Integrity and quality work are two areas where there is no room for compromise and the work crew at Tim Leeper Roofing lives these values every day. From a transparency estimate to the thorough cleanup after the roofing work is done, we deliver the highest quality work to our customers. One of the shingles we work with is the embodiment of amazing technological advances in roofing shingles. We are talking about the Owens Corning SureNail® shingles, which are part of the Duration line of shingles. These shingles have a specially designed cloth that is embedded in the area of the shingle where the nails go through. This may seem insignificant, but to people who know shingles, this is a game changer. One of the main problems with shingles is found in what is known as the blow through. A shingle with blow through resistance means that when the roofer is working there won’t be any nails that blow through or get shot all the way through the shingle. This phenomenon slows work and weakens the shingle. The strip is visible, which acts a guide for roofers ensuring the nails are placed in the correct location. This also enables the roofers to work quickly since they have a strong visible cue. These shingles have wind warranties for up to 130 miles an hour, and this with only four nails being used. There is an area of overlay between the two layers, and this combines with the cloth layer to provide triple layer protection against forces such as the wind that would otherwise rip off the shingle, and this also strengthens the shingle. The quality of your roof is fundamentally important to the value of your home. Not only does it protect the interior of your home from the forces of nature, but it provides an attractive curb appeal aspect to your home, which adds to the value of your home. We do all roof repairs, replacements, and installations. We work with asphalt shingles and metal roofs. Call today if you would like a free estimate.